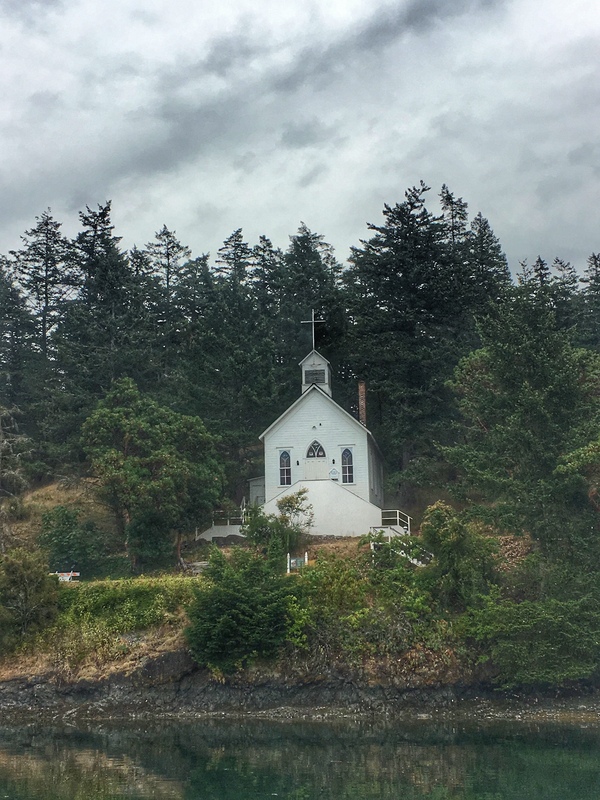 Our unsinkable trip to the San Juan Islands OR Why men shouldn’t plan family trips – Don't make me turn this van around! 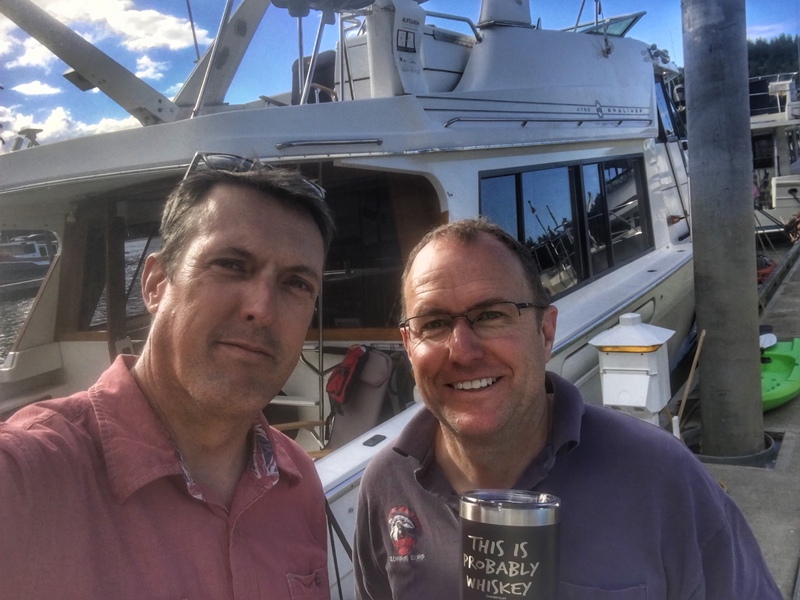 A few weeks before arriving in the coastal hamlet of Port Ludlow, west of Seattle (yes, west), I texted my best friend, who had invited us to cruise the San Juan Islands with his family on their boat. *I’m a glass half full kind of guy. Port Ludlow would mark the furthest north and west that we would drive on our journey. Somewhere around there we hit the 5,000 mile mark. Dan happens to have two kids, of similar age to ours, with the girl being the oldest. We spent a few nights on their roomy boat last summer, so this wasn’t unknown to us. 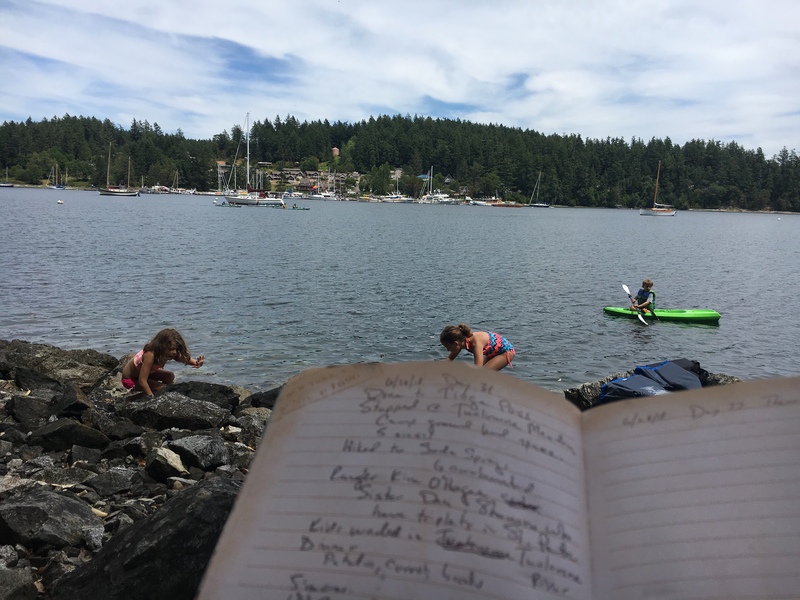 This year, Dan made plans to take us to the San Juan Islands, in the extreme northwest corner of Washington, where the US becomes Canada. I’ve had several people tell me that the San Juans offer some of the most beautiful scenery they’ve ever seen – a pretty high compliment given we’ve hit Zion, Yosemite, and Crater Lake so far (with Montana, Yellowstone and Wyoming to come). He could have anchored us in an industrial port and we’d have been happy as long as we got a little time to relax. I was excited to spend a few days out of the van. 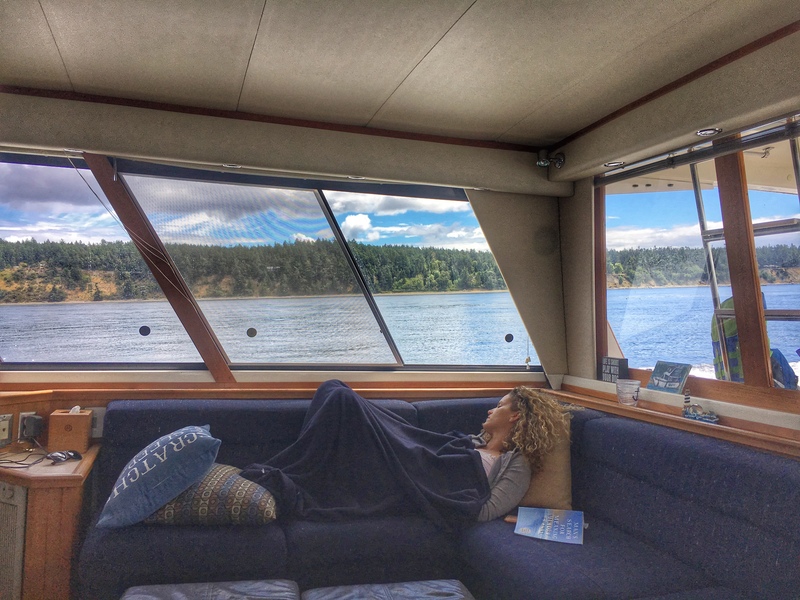 We arrived at the dock in Port Ludlow and quickly settled in. Monica went on a training run for the NYC Marathon, the boys began searching the rocky beach for crabs, and the girls played with the family’s pet beagle. I grabbed my book, Dan handed me a beer, and we kicked our feet up, with plans to set off the next day. Sea life is very good. If you asked me in college which of my friends would one day own a 50 foot yacht, he would not have been near the top (no offense, dude). We met when we were twenty – were best man in each other’s weddings – and despite living on opposite corners of the country, still manage to meet up every year or so. (Helps that he’s an airline pilot.) 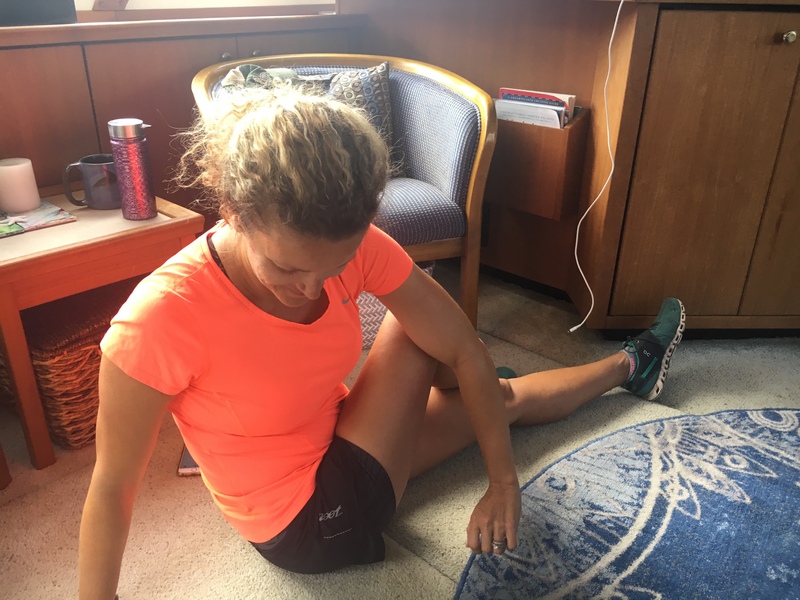 As soon as we parked the van, Monica dashed off for a seven mile run in an area she got lost in last year. If she didn’t turn up this year, we’d know she was doing juuuust fine. We set off the next day and quickly found ourselves cruising evergreen islands that made me feel like I was in a foreign country. Our first stop, Lopez, featured a small resort of dated, but very tidy looking cabins that reminded me of the movie Dirty Dancing. The little town had a couple of coffee shops and a bakery, so I was happy. The moms disappeared to go shopping for a while. After a quick swim in the resort swimming pool, we took the kids to a beach to throw rocks, which – in my opinion – is the #1 method of entertaining children of all ages. Throw rocks into water. They can do it for hours. 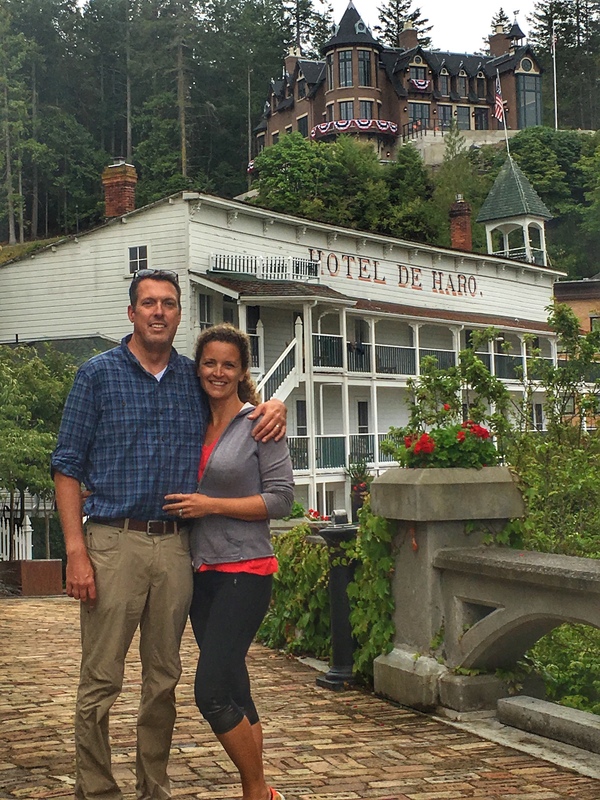 We made similar stops in Deer Harbor and Roche Harbor (my favorite of the towns we visited). The roar of two diesel engines burning my friend’s wallet to the tune of 30 gallons per hour, put me in a mood to take a soothing nap. The views were spectacular. I’ve never seen so many bald eagles – almost as plentiful as seagulls in Florida. I can see why people love these little rocky towns. It’s the opposite of the Florida Keys – cold, quiet and quaint. Top left: Monica took off on an 11 mile run around the wooded coast, which seems like a good way to start my next mystery novel. Next three: The solution to too many kids on a boat is to strand them on a beach. (More rock throwing.) Turns out Wasp Island was named for wasps, as our son experienced his first sting of any sort. 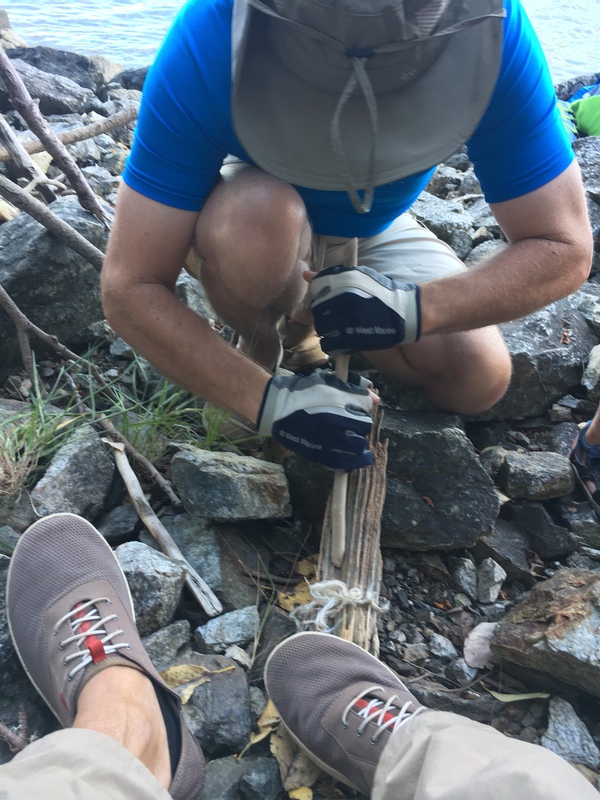 Meanwhile, Dan, who is retired Air Force, proved that Air Force survival training is every bit as good as the Marines – as long as you carry matches. The kids had us believing we might actually get a fire going. When we failed, Dan convinced everyone to eat ants. They taste like lemons. Bottom: Monica catching a post-run snooze. I mentioned my trepidation about spending 6 nights on a boat with 8 people. After four nights, things were going swimmingly. But we’re on a two month vacation, accustomed to being trapped in a van, and I lost track of what day it is six weeks ago. Our hosts were taking time off between workdays. As I suspected, the ladies of the boat saw the wisdom in a shorter trip, lest we start making kids walk the plank. We had plenty of space, but it was a challenge getting two boys to go to sleep upstairs when it doesn’t get dark until 10:15 pm. 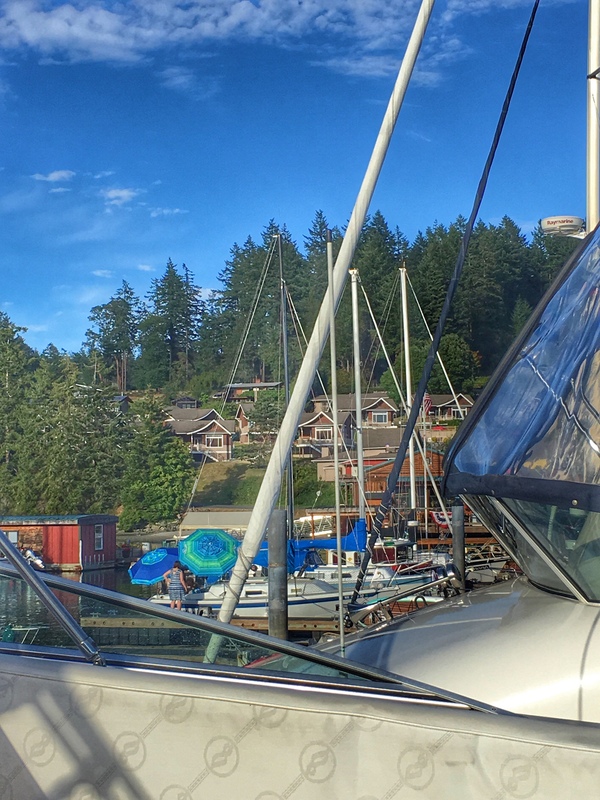 After four glorious nights we decided to take advantage of calm waters and take the “scenic route” back to Port Ludlow. I’m not even sure Dan’s wife knew he’d planned a 6 day trip, because no sane person would have let him do it. Just a few of the idyllic shots from our trip. 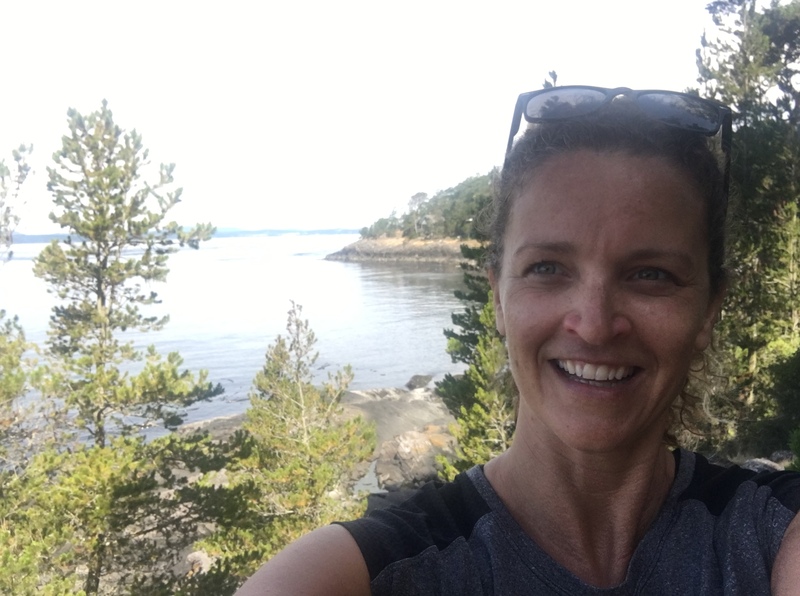 It’s hard to take a bad picture in the San Juan Islands, but somehow, my face did it. The award for best business name goes to Phecal Phreak – who may be hard to find in the phone book, but is impossible to forget. And yes, after three days, the shitter was full on Dan’s boat. I think Monica finished three books during this leg of the trip. Right: The Deception Pass Bridge. Even in a large boat on a calm day, the currents were shifting suddenly. 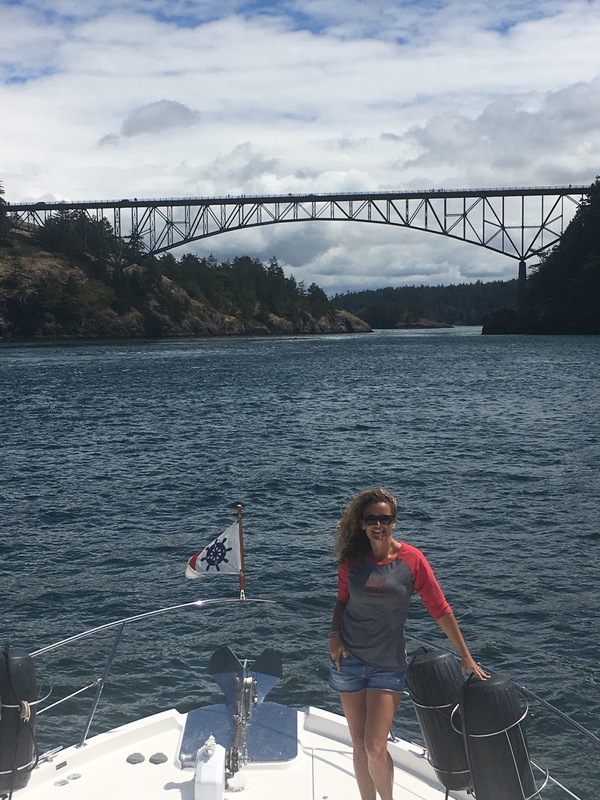 Big thanks to my buddy Dan and (especially) his wife for taking us on an awesome one-of-a-kind trip through the San Juan Islands. We had 5 days with nothing to think about, and no decisions to make. We officially turned the van around. All south and east from here on, but still, lots of country to see. We left Port Ludlow and didn’t get far. Hungry, we stopped in to yet another charming seaboard town, Gig Harbor. 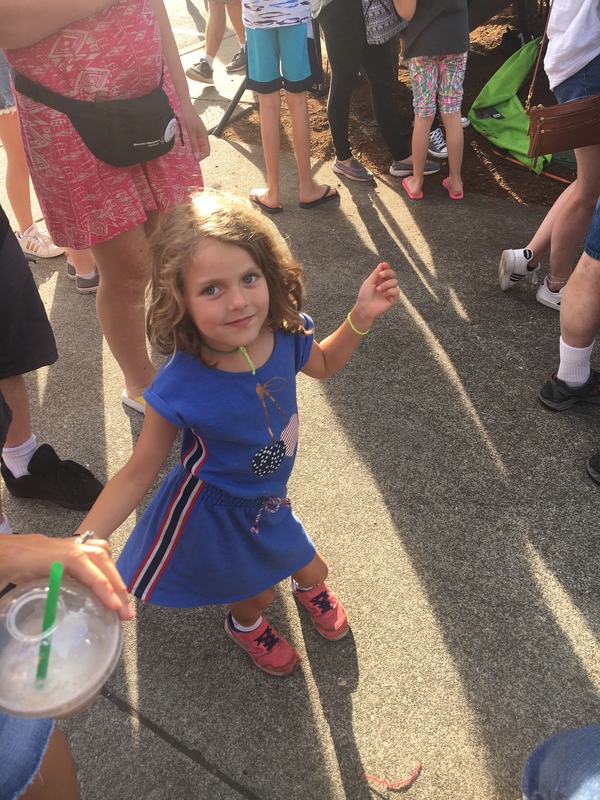 As we left a diner, we found a huge crowd gathered on the waterfront. 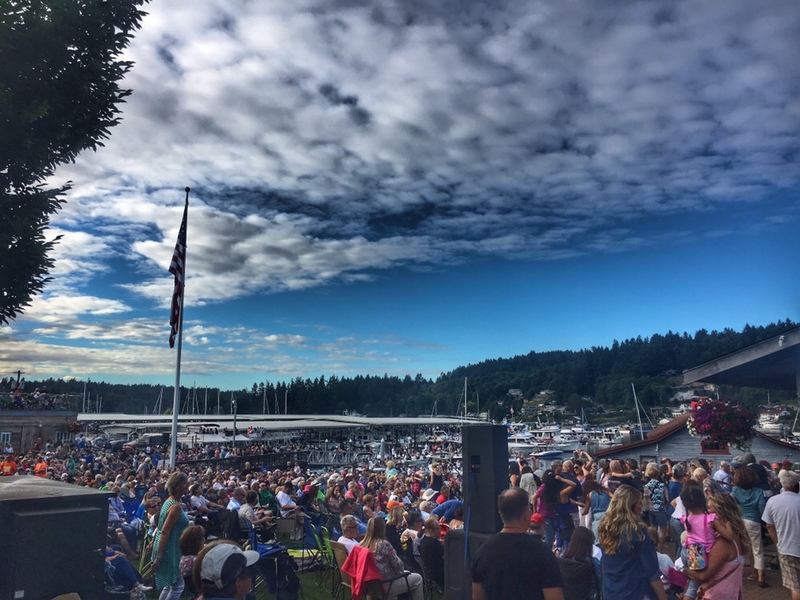 “Gig” Harbor was living up to its name with a free concert that had us dancing in the street. We found a hotel with a pool and hot tub and braced ourselves for another 5,000 miles. I highly recommend having a best friend with a yacht who refuses to let you pay for anything. If you don’t have a friend like that, you can ferry there and ferry between towns (subject to schedules and tides) – or you can come in on the sea planes which shuttle people right up to the dock. 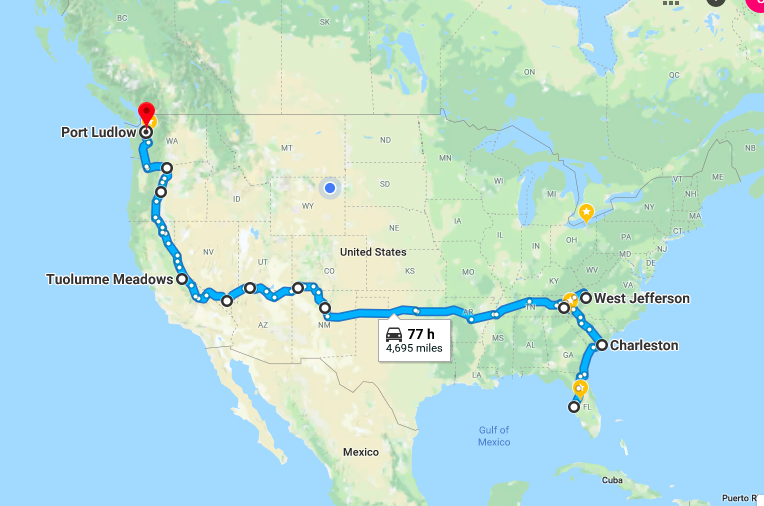 We skipped some of the more famous ports of call (Friday Harbor and Orcas) because we could get in to the harder-to-reach areas. 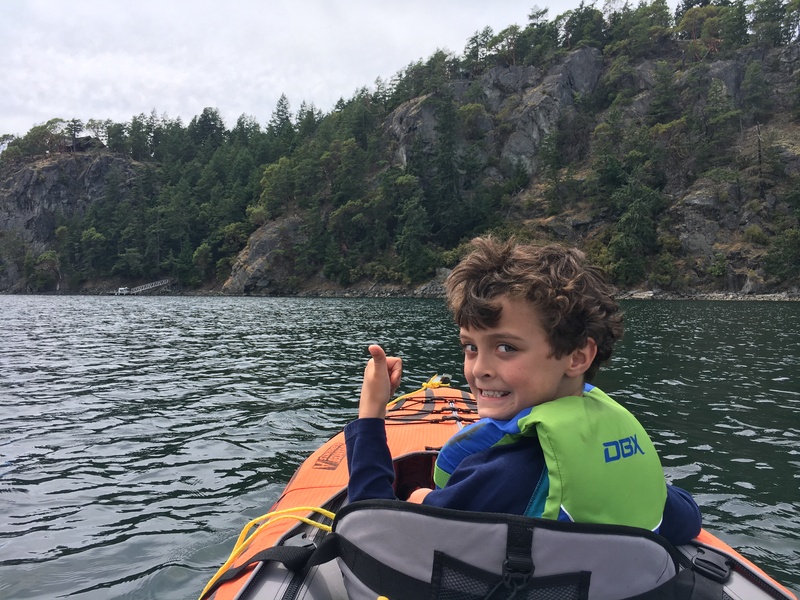 While I can’t tell you about all the kayaking, whale watching, and biking tours available – you will not run out of things to do. We saw killer whales on our last trip, but didn’t spot any this year. I’ve heard the 4th of July is crazy in the San Juans. We began our trip on the 6th and weren’t affected by any crowds. If you have time bring your passport and duck into some of the Canadian towns to the north. The San Juan Islands are a beautiful. Never experienced them in a nice yacht but enjoyed them nonetheless. 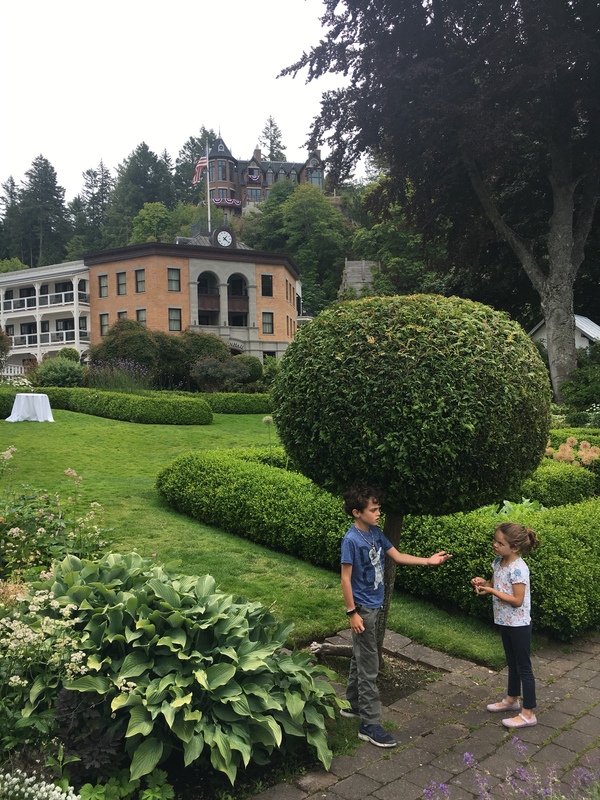 Been to Port Ludlow. Flew. Lovely space. Very green and very rural. Great blog. 30 gph? 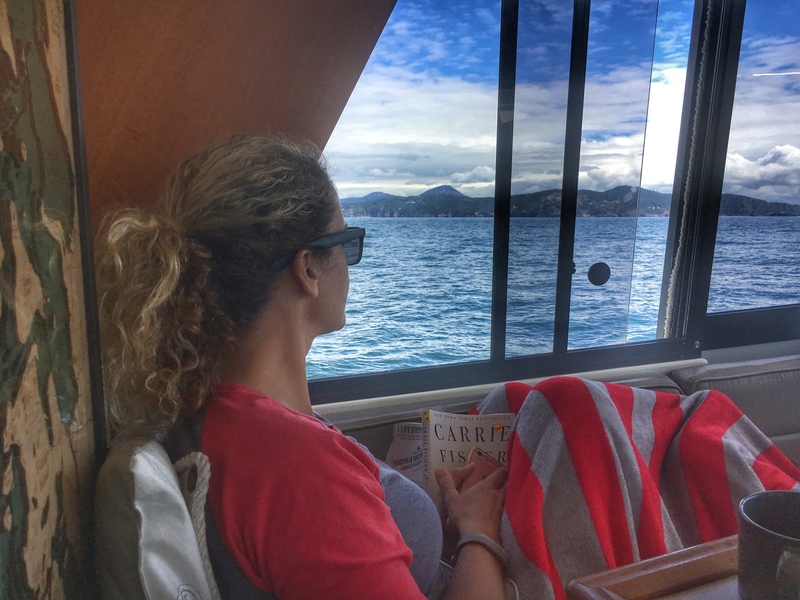 Tell Dan to quit firewalling those Hinos…more relaxing at 8kts! While I’m sorry it didn’t work out to get to Orcas, thrilled you saw some of the islands’ beauty. I don’t plan on leaving Orcas anytime soon; you’re always welcome! Safe travels on your trip back home. 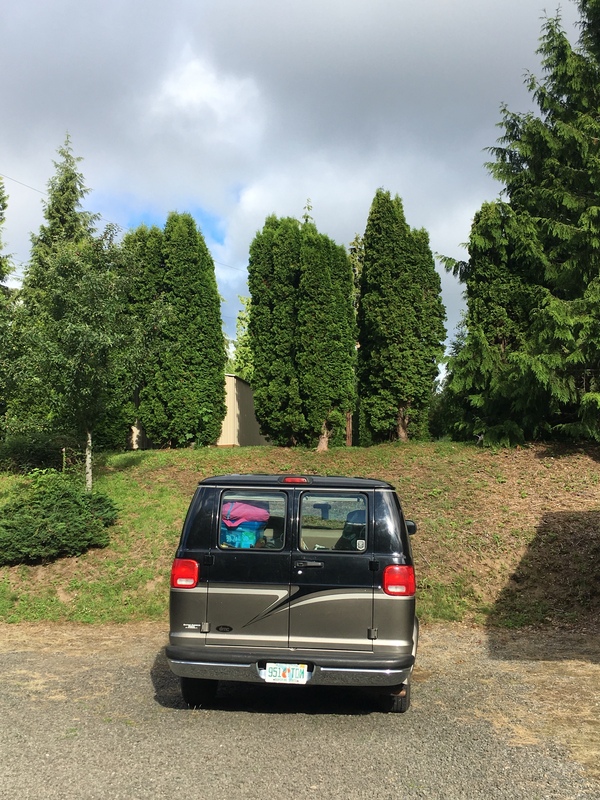 Pingback: You can’t get there from here – Don't make me turn this van around!